“Whats in my cupboard?” you ask! 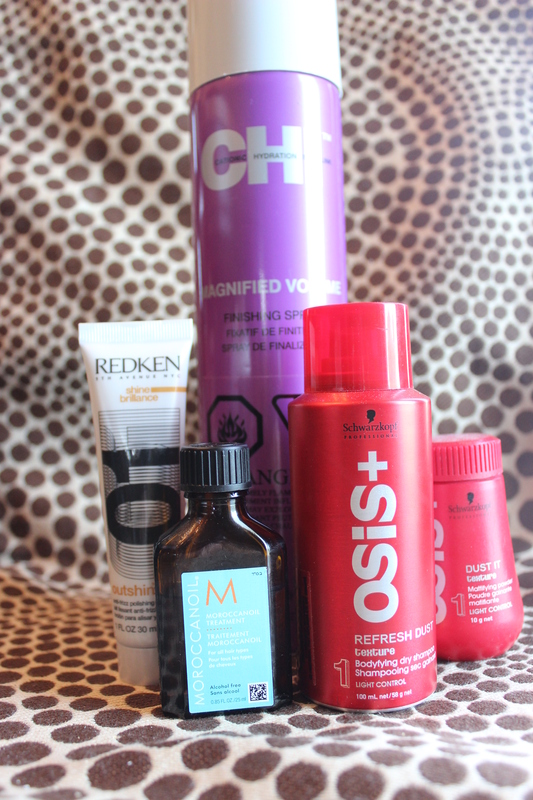 Well here are my five fave hair products! these guys I just cant live with out!!! Whether I’m wearing my hair sleek and neat or beachy and easy I use these 5 things almost everyday! 1. Moroccaan oil Treatment- I apply this first into wet hair, and after into dry hair. I use it as a leave in conditioner, aids to combing through wet hair and polishing dry hair adding shine!!! 2. Redken Outshine- next I run this thru my wet hair. If I’m going for a beachy air dry wave, I scrunch it in. If I’m going for sleek straight I smooth it in. Sometimes I mix the Moroccan oil and the outshine together in my hands then apply! 3&4. Osis refresh dust and/or osis dust it- After I’ve blown my hair dry for a smooth tidy look I apply dust it to my roots and backcomb, this stuff works wonders for mega volume!!! or if I let it air dry for a natural beachy look I spray some of the refresh dust on the ends and scrunch, also add some to the roots for a slighter softer version of volume compared to the dust it. 5.Chi magnified Volume finishing spray- Spray this delicious smelling goodness all over your finished product and Ta Da! ← Help Us Reach 200 Likes!